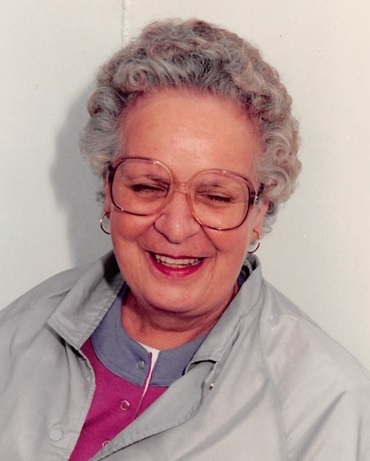 Charlotte Ann (Eggebrecht) Thomas passed away on January 23, 2019 at age 91. She was born on October 6, 1927 to the late Arnold and Estella (Hoenish) Eggebrecht and married Wilfred Thomas on May 17, 1947. Being born and raised in Wausau, her heart had a special place for Florida. After being snowbirds for a few years, Charlotte and her husband took up residence with the cities of St. Petersburg and Indian Rocks Beach. There, she loved the beach, shopping, dog races, ball games, riding the trolley, shuffle board and afternoon Manhattans. Charlotte is survived by her sons Gary Thomas and John (Roxanne) Thomas. She has 6 grandchildren, 14 great grandchildren and 4 great great grandchildren. Charlotte was preceded in death by her parents Arnold and Estella Eggebrecht, by her husband Wilfred, daughter Mary Tryba, brothers Charles (Betty) Eggebrecht, Robert (Eleanor) Eggebrecht, Arnold Jr. who died as an infant and one sister Doris (Leroy) Schultz. Funeral services will be held Monday, January 28 at 11:00 am at Brainard Funeral Home, 522 Adams Street, Wausau with a visitation from 10:00 am until the time of service. The Rev. William Grevatch will officiate. Burial will follow at Pine Grove Cemetery. The family wishes to thank Mountain Terrace Senior Living and Aspirus Hospital Palliative Care for the excellent care they gave Charlotte.